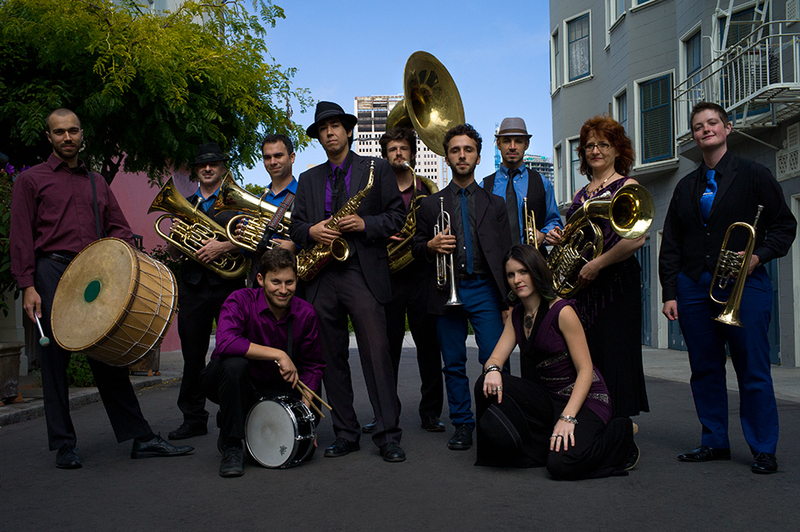 Greek underworld songs followed by two sets of wild Balkan brass! 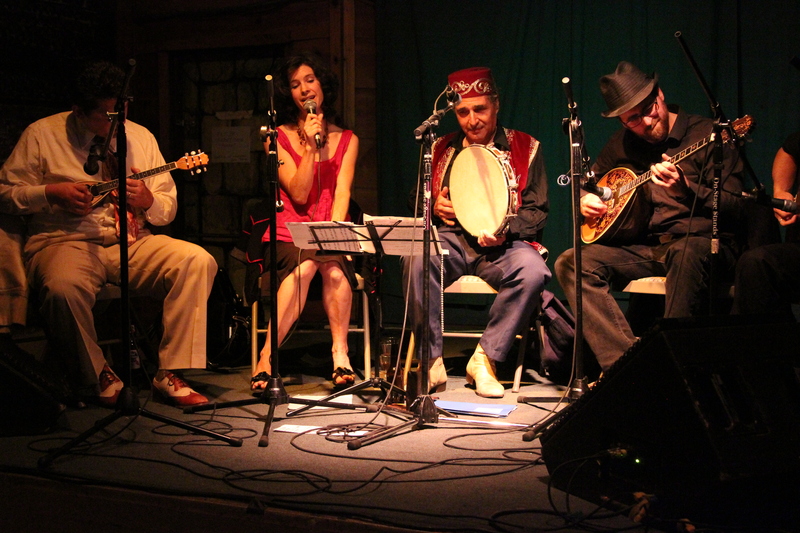 The Disciples of Markos will open the evening with their latest batch of Greek Rebetika songs, extracted from the dusty grooves of 1930s shellac and brought back to life. Along with songs by their inspiration, Markos Vamvakaris, you can expect classic underworld ditties by Vamvakaris’ bandmates; Batis, Stratos, and the tragic Delias, as well as other Rebetika classics. Fanfare Zambaleta was incubated in the Zambaleta Music and Dance School in San Francisco and has since hit the streets as a full-fledged 11 piece juggernaut of a band playing exciting Romani, Serbian, Macedonian, and Greek Brass music with passion and dedication and featuring some of the Bay Area’s most exciting young players and seasoned veterans.